The dead lay like dolls over the grass, limbs at awkward angles. They were grey-tinged, blue-lipped with blank stares. The bodies, once repositories of people as alive as we were, were abandoned shells left to rot in the open. There was no one to bury them and shed salty tears on their graves, no one to send them away with a love song and kiss the breeze that carries the dead heaven-bound. There was no more sentimentality for the dead. It was easier not to think of them as people at all. Our senses of humour became warped and darkly macabre. We laughed at their pallid expressions and gave them rude names. We tossed them higgledy-piggledy into the mass graves. Before the virus America was on top of the world, invading countries and imposing their policies, issuing ultimatums. After the virus, we were all equal for a short time. Equal in our universal grief for humanity. There was no Super Power until we Africans moved to America, removed the dead from their houses on the hill, and stole from them without guilt. In the year 2076, a virus ravaged the world. It started in the Americas. The Zika virus spread faster than malicious gossip as everyone cowered in their countries obeying their governments’ travel advisories. The World Health Organization (WHO) declared an international emergency of the virus. First discovered in Zika forest in Uganda in 1947 in Rhesus monkeys, Zika virus was identified in humans in 1952. It affected human new-borns. Babies were born with abnormally small heads. It was spread though mosquito bites by Aedes mosquito. However, the infected people spread it sexually. But Zika virus was something else entirely different. As four million people in the Americas got infected, some of them started dying of nerve gas related complications. And then the apocalypse started. Overnight people started dying en masse. The world panicked. America was as powerless to stop the virus as it was of the deaths. The plague, natural or bio-engineered, had over 95% kill rate. No amount of money or sophisticated technologies could save them. Then there was a glimmer in the proverbial tunnel: cure was discovered among the little known Ogiek people of Kenya who lived in Mau and Mt. Elgon forests. The people, who lived all their lives in the forests save for a few who sought western education, were immune to the virus. Kenya became the fifty-first American state, CIA the police. The Ogiek were targeted. Mysterious disappearances, abductions, and illegal detentions abound. A remote lab was established in Mau Forest. American scientists used our blood and bone marrow to develop a vaccine. It never worked. Most of the people who had mysteriously disappeared, or were abducted, returned home, narrated their ordeals in the hands of the American researchers and the CIA. And then I happened. I went public with the truth, why we were immune. With friends from Kenya Medical Research Institute (KEMRI), we developed the vaccine. Consequently, Zika Sans Frontiers was formed. Zika is Swahili for ‘bury’. We volunteered to bury the dead. America was ghostly. There was so much horror to take in. We went around looking for dead bodies to dispose of. Sometimes we saw a pallid person staggering to a health care centre that didn’t exist. We rushed to vaccinate them but sometimes they dropped right where they walked. I doubted if any of the medics had survived and would help for fear of becoming infected. Once we were done burying the dead world, our American Dreams came true. We did not go back to Mau Forest, or Mount Elgon. We became Americans straightaway, no lengthy applications for the almighty green card. Being the brain behind Zika vaccine I was voted unanimously the President of the United States of America. Dr. Sophia Lebo, an Ogiek, POTUS. Unbelievable. One day in the Oval Office I stumbled on TOP SECRET documents. 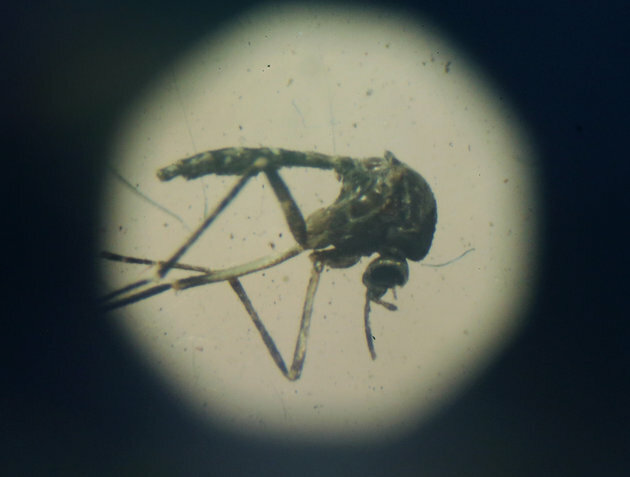 Zika virus was created by Centres for Disease Control in the US on recommendation by WHO as an austerity measure to control the exploding world population. Daring and adventurous, the twist in the end got me. Karma! Yes, Nduka. My idea was to show that the stone (Africa) that was rejected by the builders (Americans and the rest of the world) became the cornerstone. Daring indeed! If only ...lol! What name would you give to these biological elimination or warfare stories you seem to have a leaning towards, Vincent? What genre? Not quite Sci-fi right? Just faction? I liked the futuristicness of the story as well as the use of the collective pronoun. Yes, Ruj. They are just faction, with a twist of vice and conspiracy. I try to show that nothing is this world is what it seems. Thank you,Gideon, for reading and offering your expertise comment. That tells me I am not badly off in my research, which is the first thing I endeavour to do. I'm glad you got time from your busy schedule to read.